FM Approved interior wall and ceiling materials for smoke-sensitive occupancies will limit self-propagating fire and generate less smoke than traditional panels. Reduced fire loss, significant reduction in smoke related loss, and reduce business down time. Strong enough to be power washed. Sprinkler protection may be reduced or eliminated if the occupancy allows. Facer coatings, finish materials and bonding agents utilized in wall and ceiling panels may exhibit self-propagating fire behavior and generate large quantities of smoke in the event of even a small fire. The fuel contribution of some of these panels may result in the requirement of fire protection equipment such as an extensive sprinkler system. The use of FM Approved Class 1 interior wall and ceiling panels tested to Approval Standard 4880 will not allow self-propagation of a fire and may not require the use of an automatic sprinkler system to protect the building. However, though fire in a smoke-sensitive occupancy that uses Class 1 Approved interior wall and ceiling panels will be small, the smoke damage can result in significant loss of stored product, in-process product and significant downtime for the business. Low-smoke generation wall and ceiling materials are designed to meet all the requirements for Approval Standard 4880 for interior wall and ceiling panels (i.e., no self-propagation of fire) with the additional requirement of generating significantly less smoke in the event of a fire. Low-smoke wall and ceiling panels that receive FM Approval have been evaluated to provide assurance that they will limit fire propagation and generate significantly less smoke than a traditional wall or ceiling panels. These low smoke wall and ceiling panels have been utilized in the pharmaceutical and food processing industries.  FM Approvals is the only organization in the world that has the technical expertise, knowledge and capability to test and certify these unique and innovative products. FM Approved low-smoke wall and ceiling panels must pass small, intermediate and large scale fire testing in which numerous panels are installed to mimic field applications and then subjected to a corner fire test to quantify the extent of fire propagation. These fire tests of wall and ceiling material more closely relate to every-day installation, geometry and function. The results of the tests are analyzed and used to provide recommendations on limitations to the end use for which the wall and ceiling materials are FM Approved. These panels must also demonstrate successful low smoke generation testing results. For testing, 128 ft2 (11.9 m2) of material is burned under a fire products collector to deter- mine the total amount of smoke generated during a fire. Panels must not exceed a smoke generation rate of 0.23 grams/sec. and the total smoke generated for the duration of the test must not exceed 60 grams. For more detail see Approval Standard 4882. …cost? It is important to understand these products are unique and there are no similar or comparable products in industry. They are generally manufactured from highly engineered polymers which may influence the cost of these products. Products meeting Approval Standard 4882 have been certified to meet much more than just fire propagation criteria, FM 4880. For occupancies that cannot tolerate smoke contamination in the case of a fire, these wall panels offer a unique advantage over all (certified and non-certified) wall and ceiling panels used in smoke-sensitive occupancies. The best place to start any pricing comparison is with the manufacturer. The source for their product pricing is often found on their Web site. The Approval Guide, an online resource of FM Approvals, provides links to most of our manufacturers’ Web sites along with the listing for the product. That link will often get you to a pricing sheet, or at least to a representative who can explain the actual cost that a manufacturer uses as their base. Start there, and then understand that there may be supply chain costs which may add cost to the product and likewise increase its price. Since the testing and certification costs for FM Approvals testing and certification are already built into the manufacturer’s price, there should be no added cost for the tested and certified product along the supply chain. The benefits of tested and certified products as described herein will help the end user in making a choice between tested and certified products specifically for use in smoke sensitive occupancies versus other products that have no such certification credentials. ... local codes and jurisdictional requirements? In the United States, most building codes enforced by the jurisdictions only require the ASTM E-84 flame and smoke developed rating for interior walls and ceilings. This test does not replicate actual geometry and scale of fires in most industrial/commercial occupancies. FM Approved Class 1 interior wall and ceiling panels for smoke-sensitive occupancies meet these mini- mum jurisdictional requirements and go significantly further to test and certify the fire performance and smoke generation of these products. There are no national or international standards for Class 1 interior wall and ceiling panels for smoke-sensitive occupancies, other than Approval Standard 4882. The only currently published harmonized technical product standard in Europe for products covered by Approval Standards 4880 and 4882 and is EN 14509 for metal faced insulated wall panels, which focuses only on fire testing (FM 4880) and not evaluating the generation of smoke (FM 4882). Building materials in Europe are classified for reaction to fire according to EN 13501-1 as Euroclasses A1, A2, B, C ,D, E, F using EN ISO 1182 (non-combustibility), EN ISO 1716 (heat of combustion), EN ISO 11925-2 (ignitability) and EN 13823 (single burning item). The performance requirements of these panels comply with local code and jurisdictions. However, their ability to generate small amounts of smoke is a performance attribute that is not addressed in any code. Fire-tested for installation up to 30 ft (9.1 m) in height.